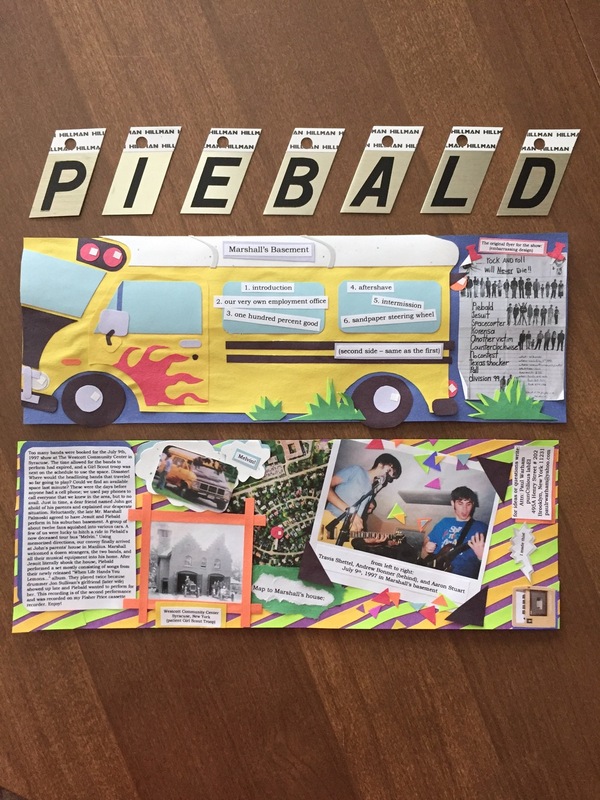 Friend of the site, Paul Warham spent two months putting together Piebald cassette tapes of a live show he recorded back in 1997. Paul spoke about the project: "It was loads of fun and it kept me busy. The (grey) “first press” is numbered 1-44 with 6 “test presses” for the purpose of stamp, folding, or writing mistakes. So that’s 50 in all.The (blue) “second press in also numbered 1-44 with 6 “test presses.” Again, 50 in all. So altogether, I recorded, copied, labeled, and stamped 100 cassettes. I’m itching to do another. The recording is raw but it was done spur of the moment on my childhood Fisher Price tape recorder. However, if fans of Piebald know these four songs, it’s a treat. The name I gave this “label” is Punctilious. The story of how I heard this name is that I overheard it on one of those Investigation Discovery murder programs and thought it was a very interesting word." Premiere: Hiding Place - "Slave To Your Name"